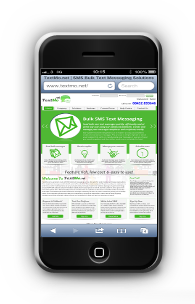 Top Quality SMS Text Message Services At The Best Prices In The UK! 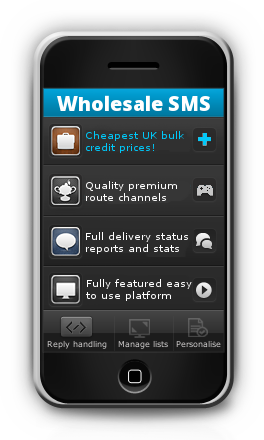 Benefit from the UK's cheapest SMS text credit prices when you sign up with Wholesale SMS. With huge discounts for large volume bundles you can be texting your customers, employees, club members or anyone you want for a fraction of the usual costs. 2. Start Your Own SMS Business In Minutes! 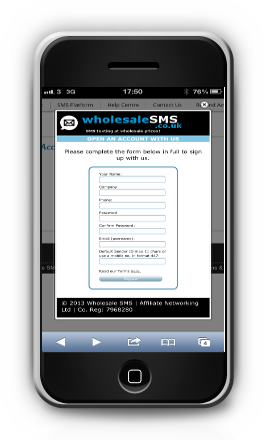 With our WHITE LABEL option you could be running your own SMS text messaging business in minutes! Buy your credits at wholesale prices and re-sell at whatever mark up you want. We will create your SMS platform totally branded with your company details. Our very simple API makes it easy to send text messages from virtually any application or website. It has been designed with ease of use in mind - in plain English! It can be set up using as few as 7 fields and is ideal for a variety of automated uses. 4. Sign Up To Start Texting In Minutes. Sign up now and receive FREE CREDITS so you can test our service without any risk. 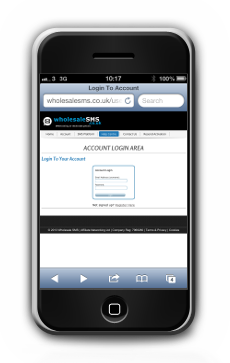 We're sure you will not only be impressed with how easy our SMS platform is to use but also how fully loaded with features it is - all for the lowest prices in the UK! 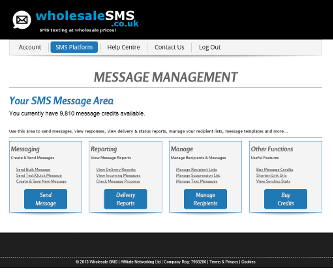 Bulk Text Messaging At Wholesale Prices! Feature rich, low cost & easy to use! There's more to effective text messaging than just blasting thousands of messages out at the cheapest possible price. Our texting platform is FEATURE RICH and has been designed with marketers, list managers, customer care departments and business development managers in mind. To get the best possible return on investment you need to use the best possible services. This means using a reliable, low cost, fast, easy to use and efficient platform operating through tier 1 SMS gateways - and that's where we come in! Our systems have huge throughput with little to no buffering AND unlike "grey route" & "sim farm" operators (which really are a false economy) we provide full reporting on the status of each message and you only get charged for what is actually delivered! All our routes use prime UK network tier 1 gateway channels for the best possible deliverability and status reporting PLUS our SMS platform provides many features as standard where most other providers will have hidden costs for what they see as "extras" but we feel are essential to providing our customers with the best possible all round quality texting service. Join us on Twitter and Facebook for all the latest updates. If you would like to get in touch feel free to Skype us or see our full contact details here.